Product prices and availability are accurate as of 2019-04-20 19:56:22 UTC and are subject to change. Any price and availability information displayed on http://www.amazon.com/ at the time of purchase will apply to the purchase of this product. 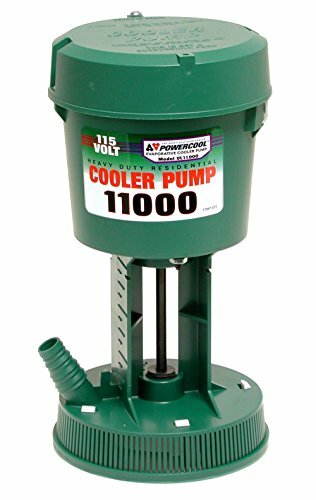 115V, 11,000 cfm, concentric pump, fits mounting bracket in champion coolers grounded plug flame Retardant motor housing auto reset thermal overload, 420 gph low level pump, UL classified, 1 year warranty. The product is manufactured in china. Easy installation and easy handling.